ABC Daycare & Learning Center opened its doors in St Charles County, Missouri in 1990. ABC’s goal is to give every family that attends our schools a sense of pride and a satisfaction about having their children enrolled with us. We want your children to know how special they are in this world and how special they are to ABC. Our Center’s policy is to provide each child with a loving, safe, secure environment with a “home away from home” atmosphere- a place where they can go each day to grow and learn to the best of their ability. ABC provides care for children starting at age 6 weeks and continues to nurture and educate through age 12 years. 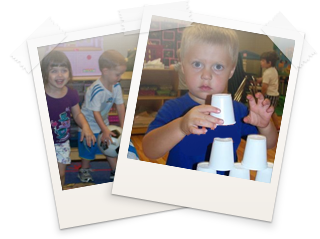 Our daily schedule includes age appropriate pre-school activities, to develop their fine and large motor skills. Your children will be introduced to a foreign language, creative art, science, math and the latest technology in computers and smart boards. ABC will help the children develop manners, how to share and be nice to their friends while using positive reinforcement in the learning process. ABC Daycare & Learning Center will always put your child and their education first.